Andrea has an undergraduate degree in Public Administration and Political Science from UW-LaCrosse. 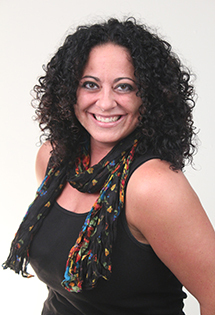 She completed her teacher certification and Master’s degree in Education at Alverno College. Andrea taught English, Math, Reading, and Family and Consumer Education in grades 5-8 in Milwaukee Public Schools before coming to UWM. She has been at UWM as an Academic Advisor in the Department of Curriculum and Instruction for seven years and has, at some point or another, advised all C&I programs. She currently advises students in Early Childhood Education, MACSTEP Math and Science Education, and Reading Teacher and Reading Specialist teacher certification programs. Since arriving at UWM, Andrea has been very active in the UWM community and has been nominated, elected to, and has severed on several Academic Staff and Faculty committees. She is currently on the Academic Staff Committee and will be the Vice Chair of that committee for the upcoming 2014-2015 academic year.